Original prison built 1822-1836 on a radial plan by John Haviland. 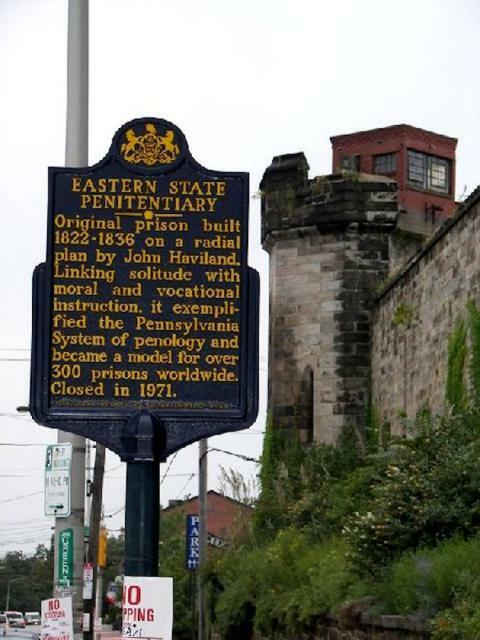 Linking solitude with moral and vocational instruction, it exemplified the Pennsylvania System of penology and became a model for over 300 prisons worldwide. Closed 1971. This marker can also be identified by its HM code. You can use the hashtag #HM1K2R in tweets, and any other place where you might refer to this marker, including when searching on this site.